XS WORK compound has been specifically developed for work service and safety soles. XSWORK meets the requirements of ISO 20345, EN13287 and similar PPE standards. 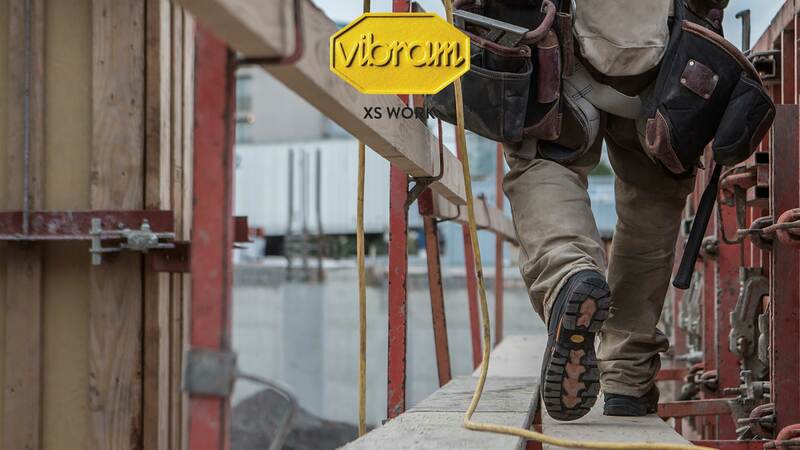 Being oil resistant, and non-marking Vibram XSWORK sets a new standard for slip resistance for work service types of footwear. When combined with specific Vibram engineered slip resisting designs, XSWORK exceeds ISO 13287 SRC requirements for slip resistance. Built on a Nitrile polymer base, XSWORK offers optimum oil resistance, resistance to heat, tearing all while providing the durability the consumer has come to expect from performance compounds which bear the Vibram Octagon. XSWORK comes in both ESD and ESR formulations making it and ideal for industrial applications.